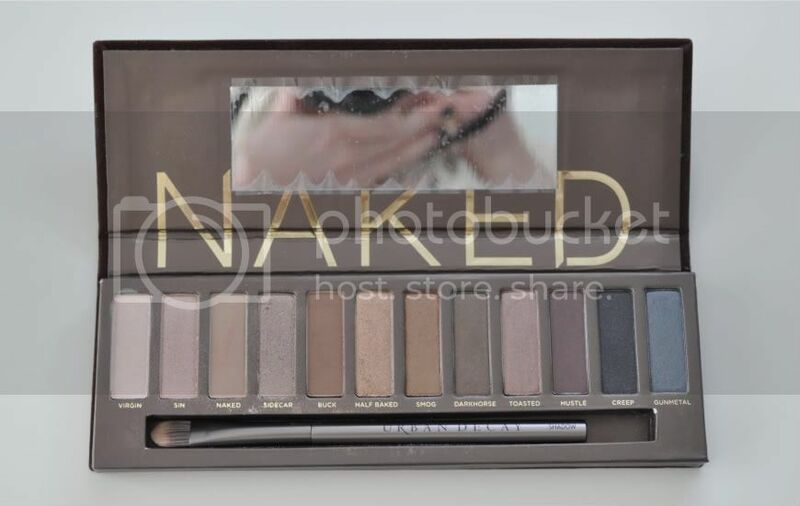 I FINALLY after months and months and nearly buying it for the jacked up price of almost $100 on Amazon found the highly coveted Naked Palette by Urban Decay. 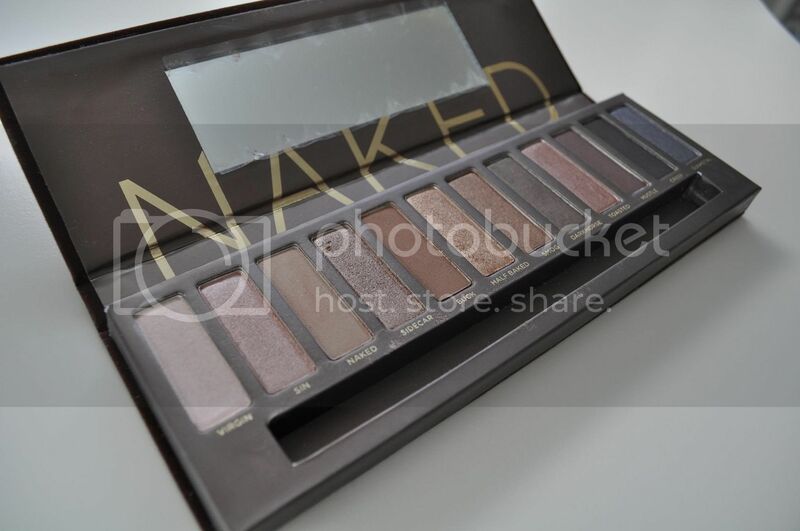 This set of shadows has been virtually unobtainable (which makes me want it that much more) but I was finally able to buy it on Sephora.com. To give you an idea of it's popularity, it has over 14,000 "likes" on Facebook, and nearly 2000 reviews on Sephora's website as well as a perfect score, 5/5 Sephora stars. Click read more to find out if it was worth the hype, and for a tip on how to get one. These shadows couldn't be more wearable - I could use these colors every day, pairing them down for day and darkening the look for night. These colors would complement just about every skin tone under the sun as well. One complaint I have though, is that the more sparkly colors tend to fall during the day, resulting in a face similar to Edward Cullen (read: sparkly). Also, the brush it comes with is a little too stiff to really be useable. Besides the brush, the palette also comes with a mini primer potion, which I like but I think I still prefer Too Faced Shadow Insurance - it holds onto the shadows better for me throughout the day. Overall, I love the colors, and therefore I love the palette. It's easy to see why it's been so popular for so long. To pick one up, try Sephora.com for $48. You can sign up to receive an email when they restock (this is how I got mine! ).